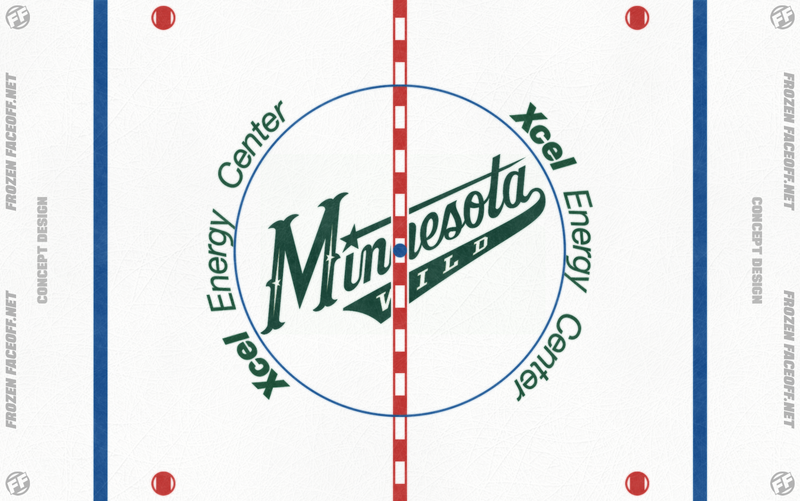 Option 1: This idea comes from the current center ice of Minnesota's AHL affiliate, the Iowa Wild. It is the secondary logo but without the off white to give it a cleaner look. 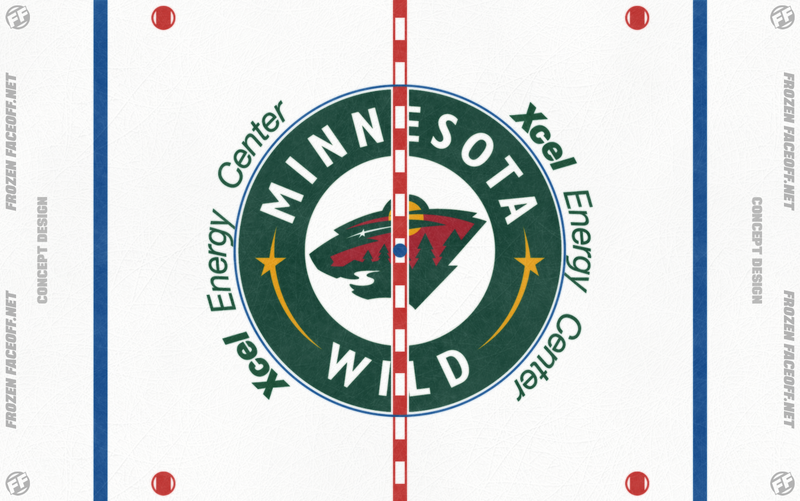 Option 2: Now we are going a bit old school, and making things easy on the ice painters. 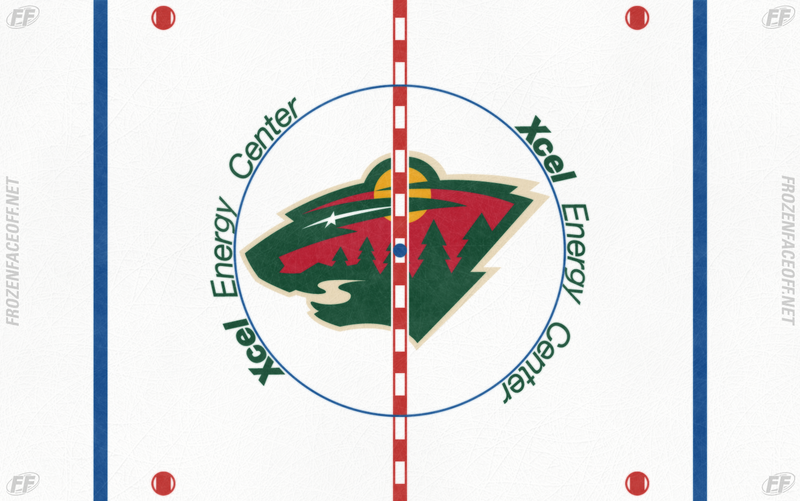 Here is their third jersey logo applied to the ice leaving a very clean look at center ice. Option 3: It may be a popular option to simply keep it the same as it has been for several seasons.